A book of writing advice and motivation. A group of teen and young adult writers from around the globe have come together to write a book of advice and inspiration for fellow writers. Each mini-chapter is a different topic, from "That Thing You Don't Want to Write About" to "Villains: The Human Behind the Gun". Other content includes interviews with authors such as Tessa Emily Hall and Q. Gipson, surveys of our contributors, and lists of helpful resources! Project Canvas is built around the idea that everyone has an expertise. A story to tell. 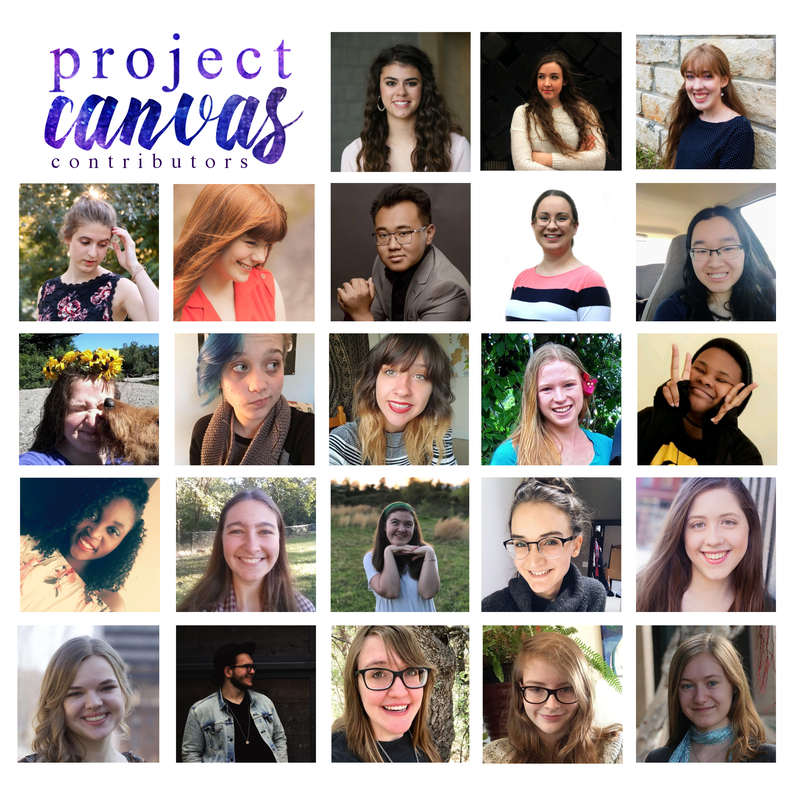 While this book is written by and geared towards teen and young adult writers, Project Canvas is a valuable craft book for anyone in the business of using words to tell stories. Release date: November 15th, 2018.